BROKEN. Shattered pieces surrounding him. The boy looked down in despair. Where would he start? How could he make it whole again? Dropping to his knees to pick up the bigger pieces first, he began the attempt to form the outer shape. It was like a jigsaw puzzle but with uneven, jagged edges. He sloppily glued the pieces together the best he could until, gradually, piece by piece, a vase was somewhat identifiable. It was his great-grandmother’s vase, a family heirloom. How could he present it to his mother, who cherished the vase? The pieces did not fit as they should. The breaks were visible everywhere. The boy waited in anxious anticipation, fear, and shame for his mother to come home. When he finally heard the key turn in the lock, he carefully lifted the makeshift object, sighed loudly, and brought it to his mother. Head drooped, he held it out to her. The mother looked intently at her son, reached for the poorly glued shape, carefully inspected it, and then walked over to the stand where the vase had always been, placing it on her mother’s beautiful handmade doily. The boy watched this scene with confusion and fear, still expecting repercussions from his careless act of playing too rough near the vase. The boy knew his mother was speaking of Jesus. She had taken him to Bible class every Sunday. BROKEN with SCARS. He now realized everyone in Bible class and worship was this way. 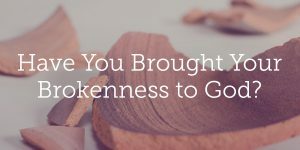 And the jagged edges and visible breaks were there to remind us that we could never be the Potter who makes the clay into the vessel of a perfect, seamless creation. BROKEN. Scarred. 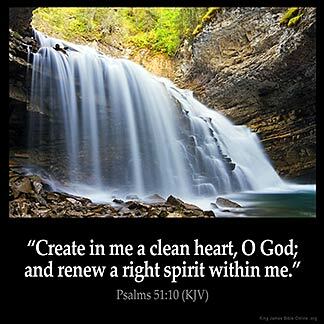 Humble in spirit before the Lord, our Creator and our Redeemer. 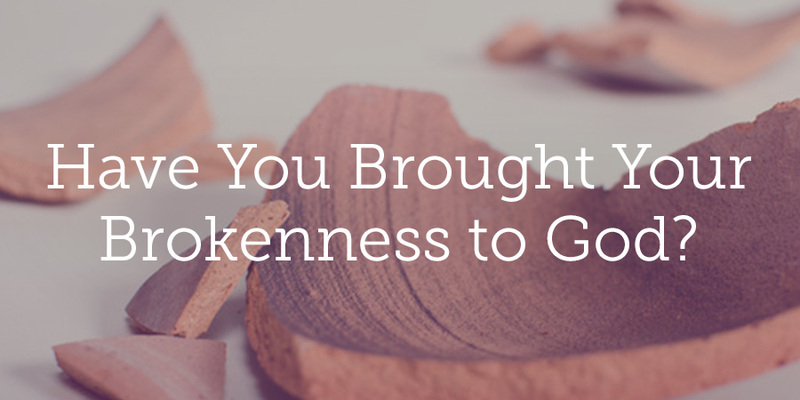 This is our sacrifice to Him who was broken for us.